Sail Boat on Willamette. Donated by Mrs. G. Howard Pettinger. [address label]: Mrs. Robert Arneson, North Shore Road, Oswego, Oregon. Description Mounted on cardboard; corner broken off; very faded. 276b & c are copies. 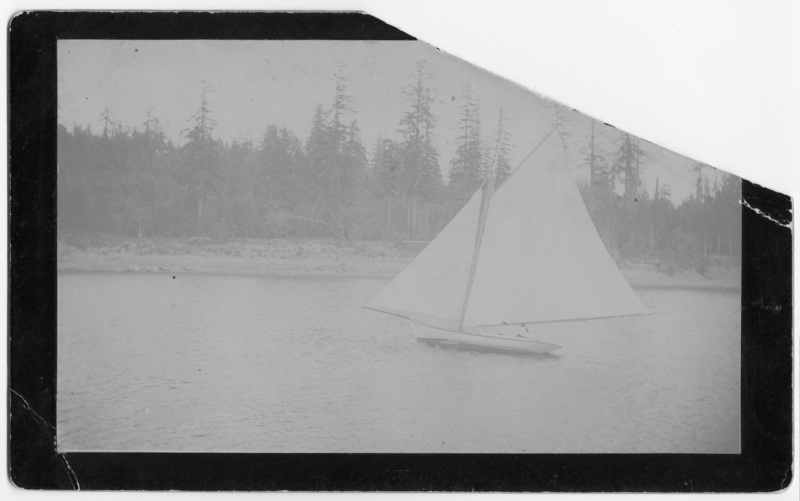 Transcription Sail Boat on Willamette. Donated by Mrs. G. Howard Pettinger. [address label]: Mrs. Robert Arneson, North Shore Road, Oswego, Oregon.